Welcome to Saint Patrick Catholic School and thank you for your interest in us. Our hope is that you’ll find in all you meet here a sense of hospitality and sincere pride in our school. You are making an important decision and we hope to assist you as best we can. Look closely, ask questions, and let us help you. We believe you’ll find a loving school community that your family can contribute to and be positively changed by. 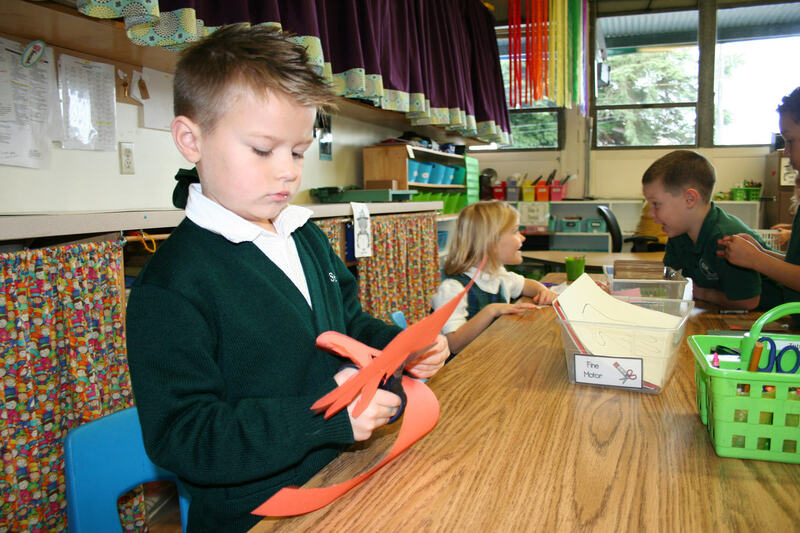 We are a Catholic pre-kindergarten through 8th grade school with a long and successful tradition in Tacoma. 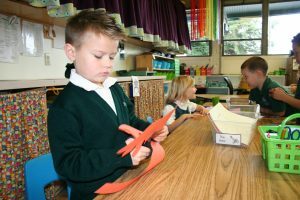 With an enrollment of 380 students, we are one of the largest Catholic elementary schools in the South Puget Sound region. St. Pat’s has a long legacy of educating children and many of our families are multi-generational St. Pat’s graduates. We are blessed with small class sizes (about 20 students in each class) that promote personal attention and greater communication. Of our 380 students, about 75% are Catholic. See Tuition for information on our various tuition rates and fees. Our goal is that no child be denied the opportunity to attend Saint Patrick Catholic School. We’ll meet with families to see how we can make this possible. Students at Saint Patrick Catholic School have opportunities for academic success, spiritual growth, leadership, participation in CYO sports, community service, student government, retreats, art, music, physical education, drama, and more. St. Pat’s nurtures children to grow in their faith and love of the Catholic Church through monthly mass, daily prayer and classroom instruction. It is our goal that every child under our care feels the deep and unconditional love that Jesus has for each one of them. We welcome students and families of all faiths to be part of our community. Knowledge and practice of the Catholic faith are incorporated into all aspects of the curriculum. One element of our school mission is to guide our students to become dynamic members of our world community. A key component of this approach is providing the link between Catholic social teaching and service which integrates those teachings into the students’ daily lives through age-appropriate service projects within our school, parish and community. Our devoted teachers are committed to academic excellence in an atmosphere of engagement and high expectations. We have the highest accreditation by the Western Catholic Educational Association (WCEA). A national comparison of student achievement through the Iowa Tests of Basic Skills® (ITBS®) score (2012-13) was at the 95th percentile in all grades 2nd through 8th. Our offerings are enhanced by enrichment programs taught by specialists in their fields and a Before- and After-School Extended Care program. Prospective families with students in all grade levels are invited to visit us. Let us know if you’re interested in Pre-Kindergarten, Kindergarten, other grade levels, or learning more about St. Pat’s and how your student would benefit from attending. We’d love to hear about your interests and share how we might be able to contribute to your child’s success. If you’d like more information, please request more information or if you’re ready, simply start the registration process. Saint Patrick Catholic School admits students of any race, color or national and ethnic origin to all the rights privileges, programs, and activities generally accorded or made available to all students at the school. In the administration of its policies, the school does not discriminate on the basis of race, color, national or ethnic origin in the administration of its educational policies, admission policies, scholarship and loan and athletic and other administered programs.